Travel with confidence knowing your things are safe and secure in this monogrammed shoulder bag constructed in all natural canvas with black trim. It is perfect for any trip, daily commute to work, or a little light packing. Stay organized while on the go with its handy organizer inside with one zippered pocket with two smaller open pockets attached. Once you have everything packed the zip close and go! 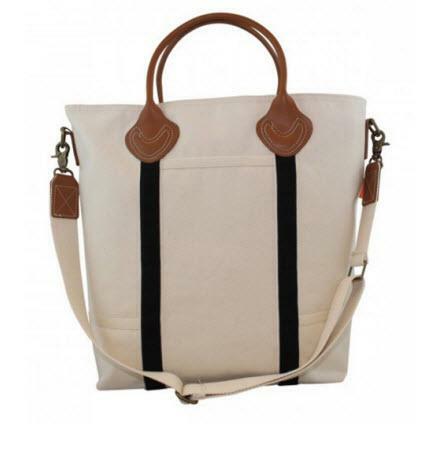 Carry by the two leather handles or carry across your body for or over the shoulder so you can stay hands free! 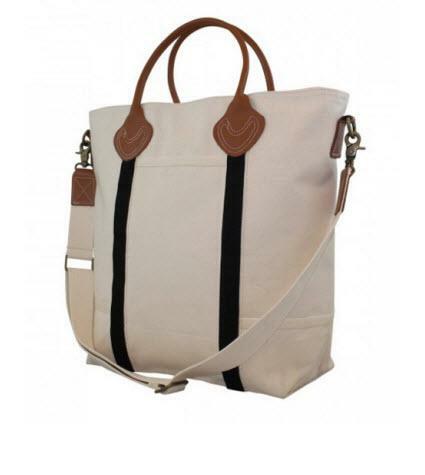 It measures at 16"h x 18"w x 5.5"d and includes a detachable and adjustable shoulder strap. Add your own personal touch by personalizing with your monogram in your favorite font and thread color!